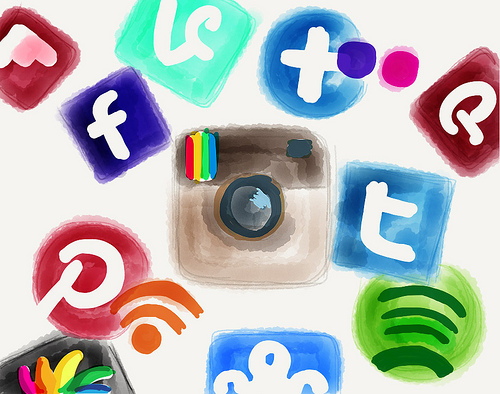 There’s more to social media than lolcats and inane status updates. It often gets a bad rap as it’s the main blame for procrastination and distraction, however, if used correctly, it can provide the perfect space for learning. According to a recent study, students increased their engagement two-fold over a semester when asked to contribute to class discussions via Twitter (educatorstechnology.com). Here’s how Facebook and the like can facilitate study – and actually increase your knowledge! Students can use a host of online tools to increase their knowledge, and social media is no exception. According to c4lpt.co.uk, blogs are ideal, as they can consolidate and facilitate learning. Students can set up personal blogs for note taking or to reflect on what they’ve just learnt, and they can also follow blogs by leading experts in their field of study. Micro-blogging sites such as Twitter can also prove highly useful. Twitter is an excellent source of the latest information and interesting links. If the right people are followed, something new can be learnt on a daily basis. A big part of social media is about connectivity. According to c4lpt.co.uk, social media can be a great way for students to network with each other, and to increase their knowledge in the process. Some educators specifically set up Facebook groups for their courses, which enable them to interact with students, make announcements and start group discussions – all in one place. Students can also find out more about their classmates via their Facebook profiles. This is especially useful if they’re doing an online learning course where face-to-face interaction isn’t possible. Social media can encourage students to work together and it’s a great platform to share experiences, research, opinions, and most importantly, knowledge. Social media also gives students their own voice: often, students will be too shy or self-conscious to share their thoughts in class or to ask questions. An online e-learning forum or a Facebook group allows greater freedom of expression: no one cares what you look like or how your voice sounds. Social networking groups can also benefit teachers, as they can gain knowledge via professional online groups (LinkedIn, for example), or by sharing content with peers. Social media also helps them to keep up-to-date with the latest information and best practices. If used correctly, social media can be a phenomenal learning tool. Whether you’re enrolled in traditional classroom study or if you’re undertaking an online course, social media can enable you to share information and gain new insights. Set up a personal blog, join a Facebook group, or follow an expert on Twitter. Knowledge is, after all, just a click away. Ang Lloyd writes for Now Learning, a tertiary education course promoter in Australia, which lists a range of online and classroom-based courses, including social media management. This is a great resource to argue for acceptable use policies at school that allow for Internet access to social media websites.Many educators, when hearing the term “social media,” think only of FaceBook and Twitter; it goes way beyond that, though. Great share. It’s true that the use of social networking sites can really benefit you. Many people have so successful with this strategy. Social media plays a vital role in learning. There are many blogs which are very informative & helps in learning. That’s true going in right direction is must.